Human trafficking victimizes around 700,000 people worldwide each year. “In the Asia Pacific region, 43% are used for forced commercial sexual exploitation of whom 98% are women and girls,” revealed Atty. Katrina Legarda, a women’s rights advocate, in a symposium held last Oct. 20 in Mandaue City. Over 70 people attended including Zonta Club Cebu II members, officials from the City of Mandaue led by councilor Cynthia Remedio, alongside hospital, PNP, DILG representatives and students. 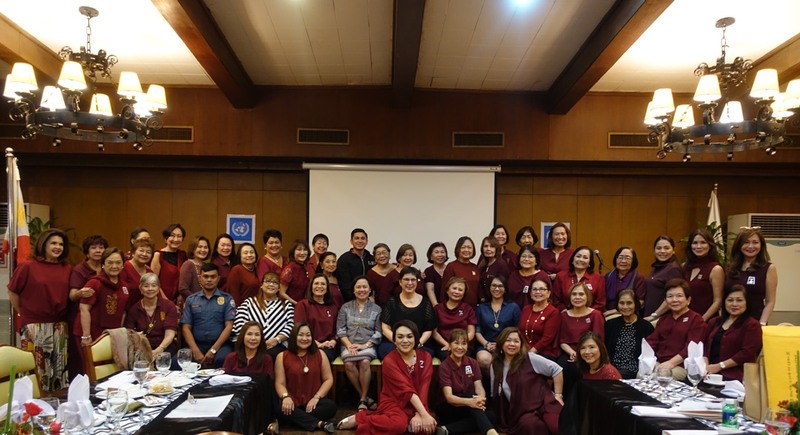 The symposium focused on the UN protocol of ending violence against women in observance of UN Day, the first of many events lined up under the partnership forged between Zonta Club Cebu II and the City of Mandaue. Driven by a common goal of protecting the rights of women and children and promoting their welfare in the city, the project Abay sa Kahayag was created. allow this modern form of slavery to grow. Atty. Legarda further disclosed that fear of reprisal and stigma placed on victims of sexual abuse has resulted In the dearth of accurate statistics. It is estimated that between 12 to 27 million people are held in modern day slavery worldwide. Standing (L-R): Mandaue Treasurer and forum moderator Atty. 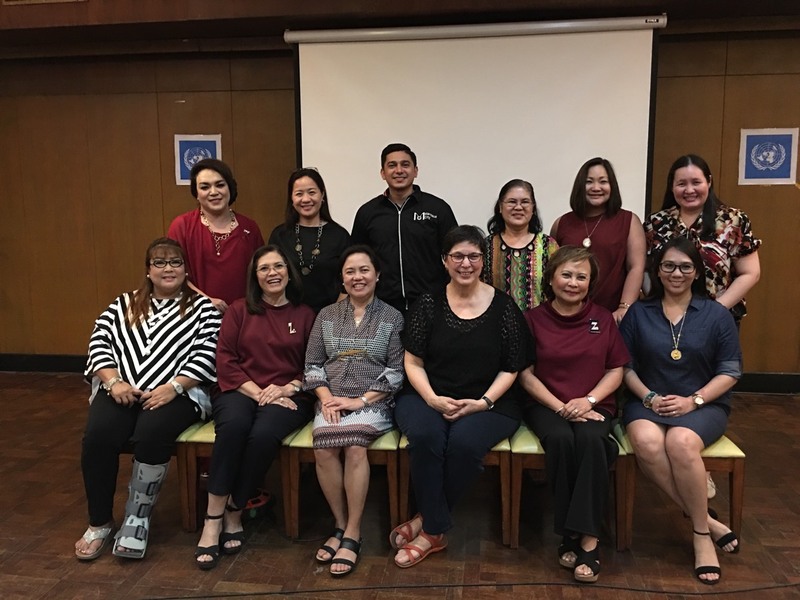 Regal Oliva, DILG City Director Johaden Lucero, City Councilor Malcolm Sanchez, Chief of Hospital Lourdes Espinosa, Chief of Staff and forum emcee Atty Elaine Bathan, and GAD Focal Officer Michelle Yu.